Humanity’s biggest expectation was fulfilled before we even realized we were looking for it. And while some may focus on the materialism of the Christmas season, we can choose to find contentment and peace in the gift of Jesus. Use this lesson to teach students that a Christmas focused on Jesus can be better than you expected. Bottom Line: A Christmas focused on Jesus can be better than you expected. OPENING GAME: WHAT DID YOU EXPECT? Use the masking tape to create a line about 15 feet from the front of the room for teams to stand behind during the game. Divide students into two teams of equal size and ask them to form single file lines behind the line. Choose a “captain” for each team and have them stand at the front of the room. Give each captain one of the cardstock signs. Say: How many of you have ever been disappointed before? Well, I think that’s all of us! In this game, you will either be disappointed or really happy. Each of your teams has a captain who will determine your fate throughout the game. I’m going to ask your captains to turn around with their backs facing all of you. When I say “GO,” one person from each team will come up to the front of the room. Before you come up front, you will decide if you will stand in front of your team captain or the other team’s captain. Two people can stand in front of a captain, or each of you can stand in front of a captain. The captains cannot turn around or try to figure out who is standing behind them. At this point, each captain will choose one side of the sign to display when they turn around. They won’t know who will be standing in front of them until they turn around. So, they could accidentally put one of their own team members out of the game, or keep one of the other team’s players in the game by which side of the sign they display. When I say “TURN,” the captains will turn around and display their signs. If YOU’RE OUT, you will have to sit down. If YOU’RE IN, you will go to the end of your team’s line. The game will continue as the captains turn back around and the next two people come forward. The team with one player left at the end of the game – wins! Say: Our game was all about expectations – and you may not have been happy with the outcome! Sometimes things turn out differently than what you originally thought would happen, but that’s not necessarily bad. Looking forward to something and having an expectation about the future, can give you hope. Say: Give me an example of a situation that turned out differently than what you had planned. What happened? There are times when our expectations lead to disappointment. 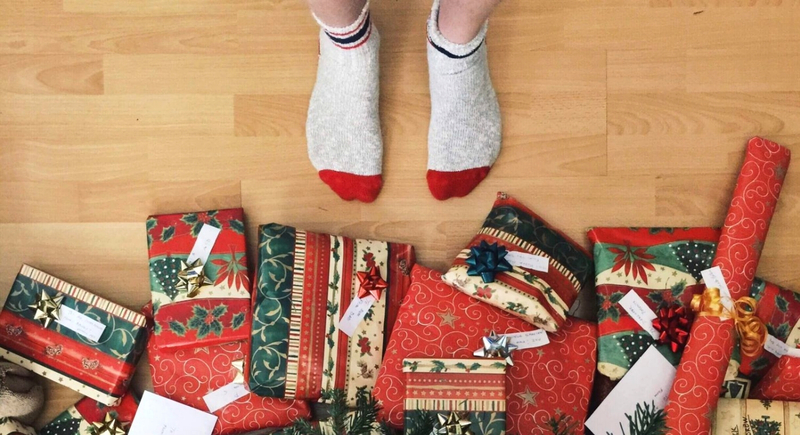 During the Christmas season, many people are expecting to receive the gifts they really want – and that doesn’t’ always happen. According to the National Retail Federation, consumers will spend over $700 billion during the holiday season. And in 2018, over $160 billion in gift cards will be given. Gift cards can help us avoid giving the “wrong gift” and they put the responsibility of choosing the “right gift” on the receiver of the gift card. Gift cards are often the perfect gift because you don’t have to worry if your gift met someone’s expectations. But, Christmas is all about expectations. Centuries before Jesus was born, prophets announced that a Messiah would come. So, people were expecting Jesus and waiting for His arrival. Everyone was expecting the Messiah to come soon, and they were eager to know whether John might be the Messiah. There were those who thought a man named, John the Baptist was the Messiah, but God used John to prepare the way for Jesus’ arrival. John the Baptist preached the message God laid on his heart to create an expectation that the Messiah would come. Another person who experienced expectation was Mary the mother of Jesus. He took with him Mary, to whom he was engaged, who was now expecting a child. Mary was the earthly mother of Jesus and she knew that not only was she expecting a child, but He would be the Son of God. Can you imagine the excitement she felt looking forward to when Jesus would be born? Anna was a widow who stayed in the temple day and night, worshiping God with fasting and prayer. This verse says that she came along just as Simeon was talking with Mary and Joseph. Who was Simeon? He was a godly and righteous man. The Holy Spirit had revealed to him that he would not die until he had seen the Messiah. So, God had led him to the temple on the day that Mary and Joseph were presenting the baby Jesus, and at the same time Anna happened to be passing by. That’s not a coincidence – it was all part of God’s plan. Their expectation led to something really amazing – Jesus. Sometimes we look forward to things that, in the end, leave us feeling empty. Receiving Christmas gifts can bring happiness, but only temporarily. Spending time with family and friends can make us feel loved, but that feeling can wear off too. When you focus on Jesus and all that He gives – peace, joy, contentment… you will never be disappointed. His love isn’t temporary and isn’t based on anything we do – it’s unconditional. The peace He gives doesn’t wear off when times are hard – it’s unending. And the contentment He brings isn’t given just one day a year or only for special occasions – it’s always available. This Christmas can be better than you ever expected as you focus on Jesus and the eternal gifts He brings. What is your favorite thing about Christmas? Your favorite memory of Christmas? What are your expectations for the “perfect Christmas”? What has to happen for it to be the “best Christmas ever”? Have you ever been disappointed at Christmas? Why? What happened? Why do people have such high expectations that everything will be great at Christmas? Why did humanity need a Savior? How did Jesus’ birth change the world? What are your expectations in your relationship with God? How does focusing on God change your expectations at Christmastime? How can you influence others by focusing your life on God? How is your life different than people who are focused on other things? How would having expectations help people who have lost hope? What expectations do you have for your future? Thank you so much for taking the time to send us a message. We’re so glad that you can use the resources. Please let us know if we can ever be of further assistance in the future.